If Emmanuel Macron becomes France’s new President, his victory will give the European Union a reprieve, a chance to reset its priorities after the battering from Brexit and the apparently inexorable surge of xenophobia and economic nationalism. But a victory will also confront him with the stark problems faced by France and Europe, in a world dominated by the grinding of the imperial tectonic plates of Russia, China and the United States. Opinion polls are all predicting a win on Sunday for Macron over anti-EU anti-immigration candidate Marine Le Pen by a margin of around 60:40. But opinion polls presuppose that people actually vote, and many who voted for unsuccessful candidates last time may not bother. 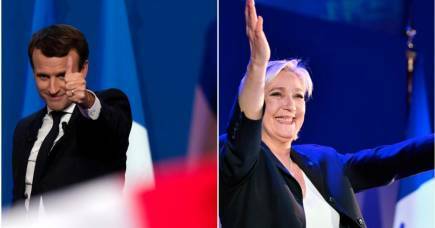 The actual result may be a lot closer and there remains an outside chance of a Le Pen victory. Who is this man Macron, most likely to be President of the nation with the world’s sixth largest economy, a permanent member of the UN Security Council, and a founding pillar of the European Union? We know he is very talented, but inexperienced in elected office. He did a Philosophy degree, a Masters of Public Affairs, and graduated from the elite training school for senior public officials, the École Nationale d’Administration, in 2004. After working for government and then the Rothschild bank, he served in successive ministries under Socialist Party President François Hollande, including as Minister of Economy, Industry and Digital Affairs in 2014-16. He resigned to form his own party En Marche! (‘On the Move!’) and to launch his bid in the 2017 presidential election. Macron is married to Brigitte Trogneux, 24 years his senior (almost the same age difference as between US President Donald Trump and his wife Melania Trump), who was his school drama teacher in their home town of Amiens. They live with her three children from a previous marriage. Her family has made biscuits – the ‘Amiens macaroon’ – for generations and the social media wits have delighted in pointing out that it now has the Amiens Macron as well. Macron insisted during his presidential campaign that he is neither right nor left, but rather a liberal. He means this in the sense of being progressive on social issues such as immigration and the environment but liberal on economic issues such as labour market reform and free trade. He has argued that old divisions of ‘left’ and ‘right’ have been replaced by those between ‘progressives’ and ‘conservatives’. The core of his programme is commitment to Europe, in stark contrast to Le Pen. Macron will look to a strengthened but streamlined Europe, continuing to work closely with Germany. He will see the Eurozone as the platform on which the French economy will be based, and will back a tough line on Brexit. He admires Germany’s Chancellor Angela Merkel and her willingness to embrace the challenge of mass movements of refugees. Asked by a journalist how he would ‘face up’ to Merkel, he retorted ‘I’m not facing up to Berlin, I’m with Berlin’. He has been a consistent champion of respect for freedom of all religions, and rebuffs suggestions that there should be tougher restrictions on the wearing of Muslim headscarves, while insisting that the public domain in France must be secular and its streets and borders safer. He will be committed to the Paris agreement on climate change. Ahead of the 2015 conference he called for acceleration of the energy transition and advocated a ‘balance between ecological imperatives and economic requirements’, to be achieved by focusing on a range of initiatives, including the ‘strengthening of energy efficiency and ... reduction of fossil fuels usage’. His outlook is not so different from liberal Americans – he was elated to receive a phone call from former US President Barack Obama before the first round of elections – and he is likely to be wary of complying with Trump policies in Syria and elsewhere. 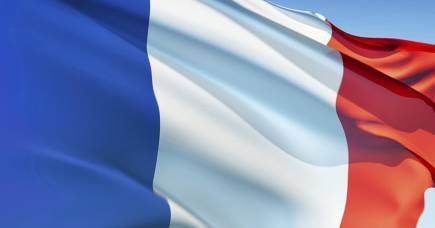 He will continue current French Prime Minister Francois Hollande’s critical position towards Israel. Macron will have tough decisions to make. In France, the President directly names the Prime Minister and Cabinet. Given the readiness with which prominent politicians from the centre and centre-left have rushed to support him, he has a precious opportunity to choose the top people from a broad spectrum. Chances are it will be a dynamic and young team in the image of Macron himself. Much will depend on the results of parliamentary elections, again over two rounds, on 11 and 18 June. Macron’s En Marche! party (often referred to simply as EM!) has been in existence only one year, and his small party apparatus have frantically been vetting applications to stand for the party in the 577 electorates from as many as 35,000 hopefuls. The official title of EM is ‘Association for the Renewal of Political Life’, but it is Macron’s personal party, and there has been social media wisecracking about the coincidence of its title with Macron’s own initials. 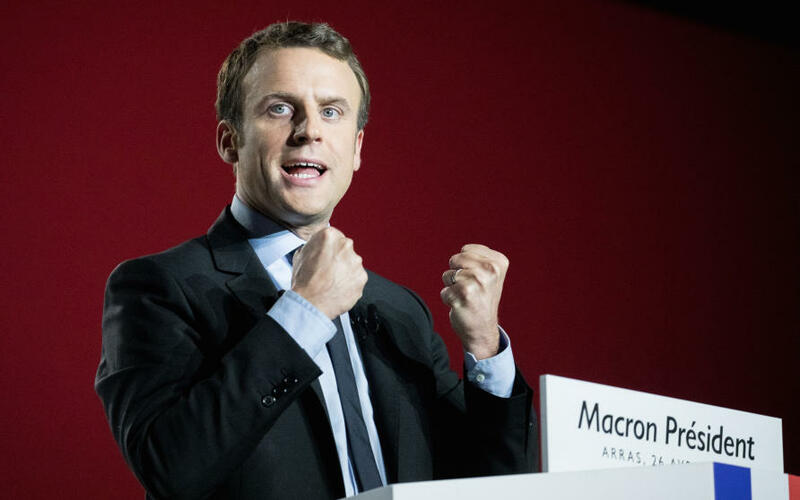 Will the electorate trust Macron enough to vote for his candidates almost sight unseen, or will they return to the mainstream right and left parties they abandoned on 23 April? The political makeup of the National Assembly will determine how far Macron can push his agenda, and indeed the direction of that agenda itself. 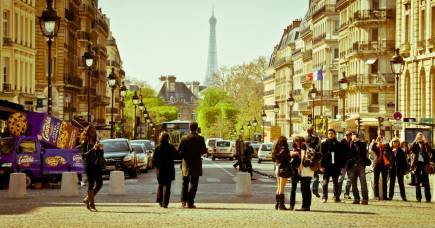 Whatever the case, Macron faces challenges that have proved too great for his predecessors for 40 years, and which confront most of Europe: what can be done about long-term double digit unemployment, hitting at least 25 per cent of young people? How can deep rifts and mistrust be healed between unemployed, disaffected young people from migrant backgrounds, particularly North Africans? How can he both take a harder line on security and terrorism and yet succeed in better integrating France’s Muslim population? These challenges are accentuated for Macron by the rigidities of French employment and social security regulations which, while offering unparalleled protection to their beneficiaries, exclude those struggling to find stable employment. Macron speaks of employment growth in new technologies and energies, and vaguely of necessary labour market and tax reforms. As a minister in the Hollande government, Macron implemented some unpopular workplace reform; he will face a union backlash when he tries again. Should he win, his honeymoon will be very short. Professor McPhee has published widely on the history of modern France. His most recent book is Liberty or Death. The French Revolution.